Moffitt Cancer Center received a $3.6 million grant from the National Institutes of Health to study the use of electronic cigarettes, or e-cigarettes, over the next five years. Rather than burning tobacco like traditional cigarettes, e-cigarettes “vaporize” a liquid that usually contains nicotine, and the user inhales the vapor like they would inhale normal cigarette smoke. 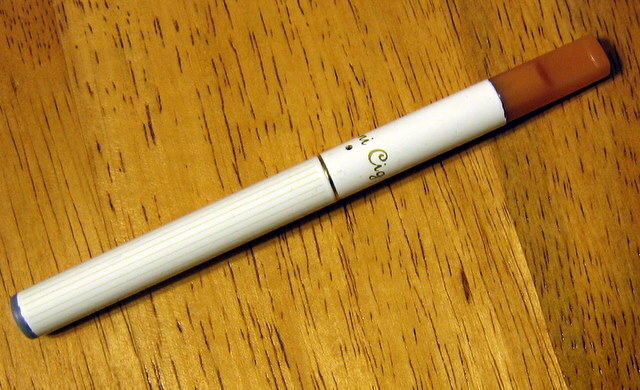 The use of e-cigarettes has risen dramatically since their introduction a decade ago. Although very little is known about the safety of these new products, they are thought to be much less dangerous than conventional cigarettes. Most e-cigarette users report that they began using the product in an attempt to quit or cut down on smoking. However, there has been little research to date on the effectiveness of e-cigarettes for quitting smoking. The goal of the new Moffitt grant is to learn how e-cigarettes are used over time, and whether users are eventually successful at quitting smoking. During the first year of the study, Moffitt researchers will be interviewing e-cigarette users to learn about their experiences and their perceptions of the pros and cons of e-cigarettes. The researchers want to interview current and former smokers who are also current or former e-cigarettes users. During the final four years of the study, Moffitt researchers plan to enroll 2,500 e-cigarette users throughout the United States, and follow them for 24 months by sending them surveys every three months. The research is expected to provide valuable data about the long-term use of e-cigarettes and their value for quitting smoking. “Millions of smokers are using e-cigarettes to try to quit smoking, yet because there is a lack of data, we are not able to advise them whether that is an effective smoking cessation strategy. This study should provide some answers that will be very useful to smokers as they consider ways to quit,” Brandon explained. For more information, e-cigarette users interested in being interviewed should call Moffitt’s Tobacco Research and Intervention Program toll-free at 1-877-954-2548.